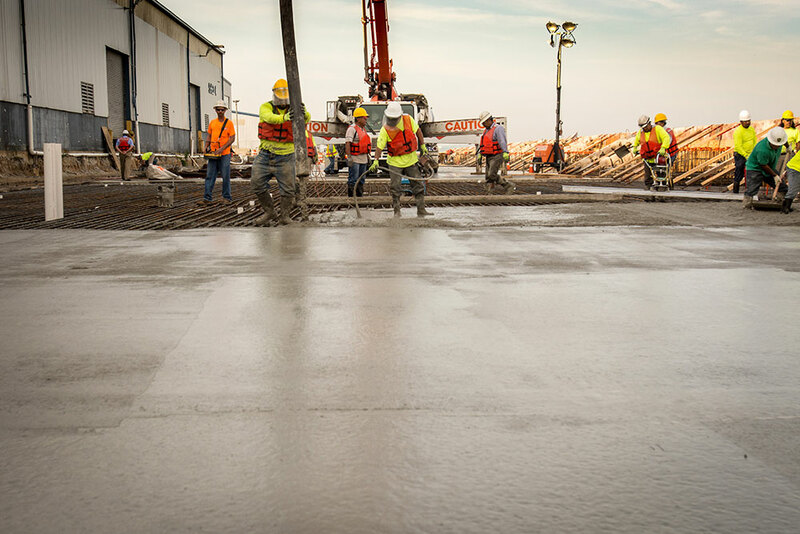 Machado Construction Company, Inc. specializes in concrete construction including, concrete curb and gutter, concrete sidewalks, concrete roads, and concrete slab construction in a full range of applications and challenging environments. 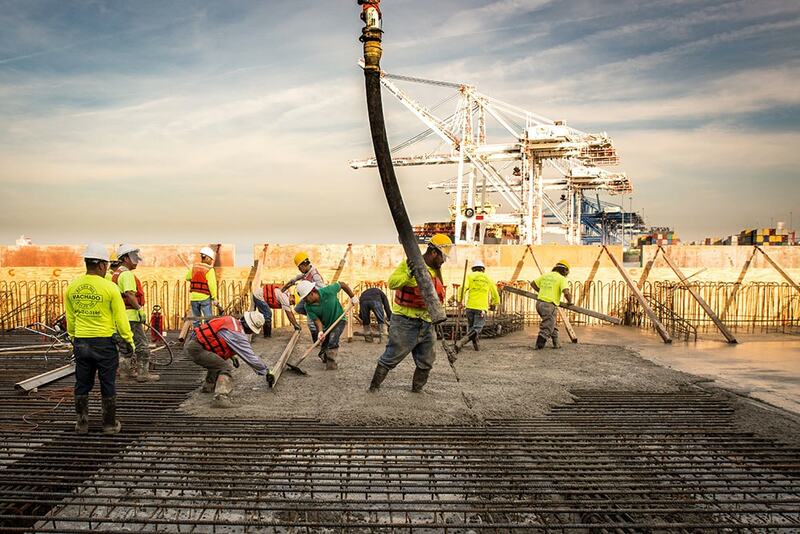 Machado Construction recently completed the construction of a concrete slab for the Dundalk Marine Terminal. 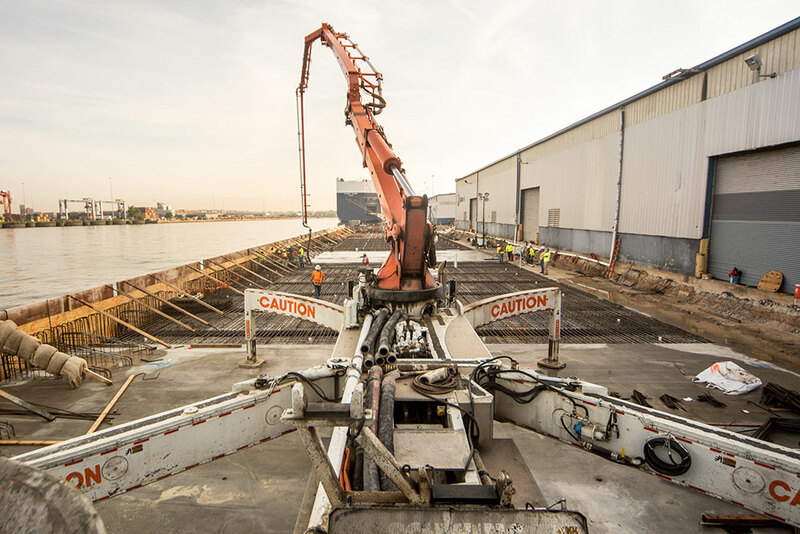 The extensive project was completed in a challenging marine environment with several time and location restrictions. 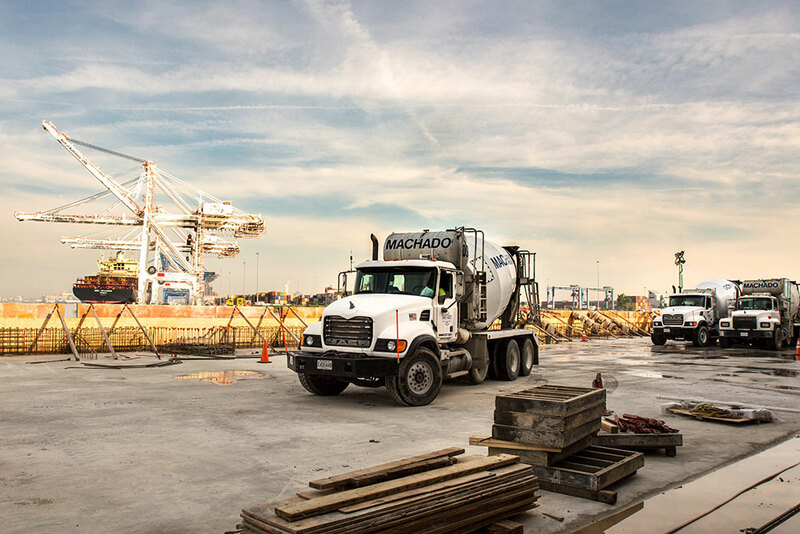 Machado Construction depended on their Concrete Ready-Mix division, an approved concrete supplier for the Maryland Port Authority, for this job. 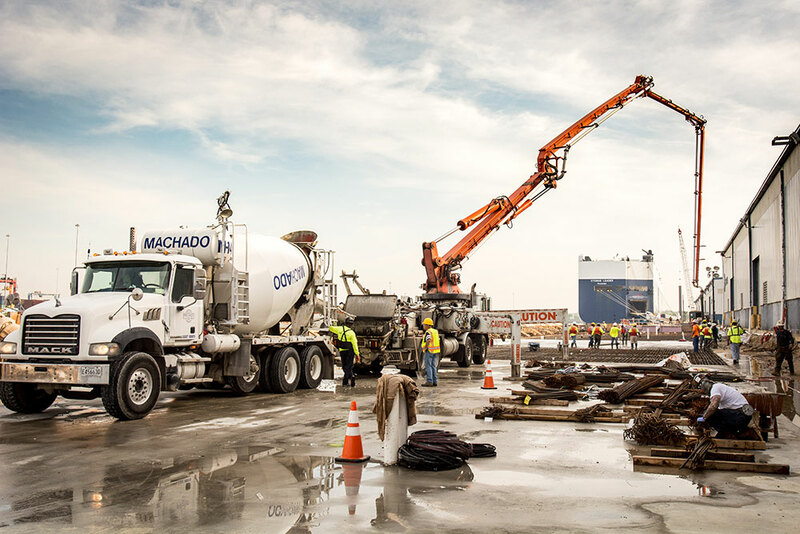 Machado furnished and installed 1525 cubic yards of 8″ 5000 PSI concrete topping slab. Admixtures such as Corrosion Inhibitor for the marine environment were used. High Range Water Reducer was used to allow an 8″ slump and the use of a 43-meter boom pump for placement in a challenging location. 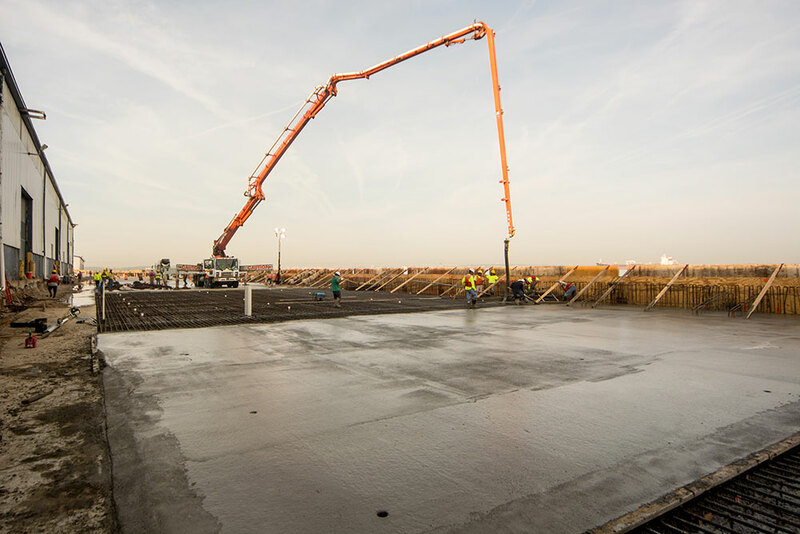 The surface was finished with the use of a power vibratory screed, bull float and power trowel. 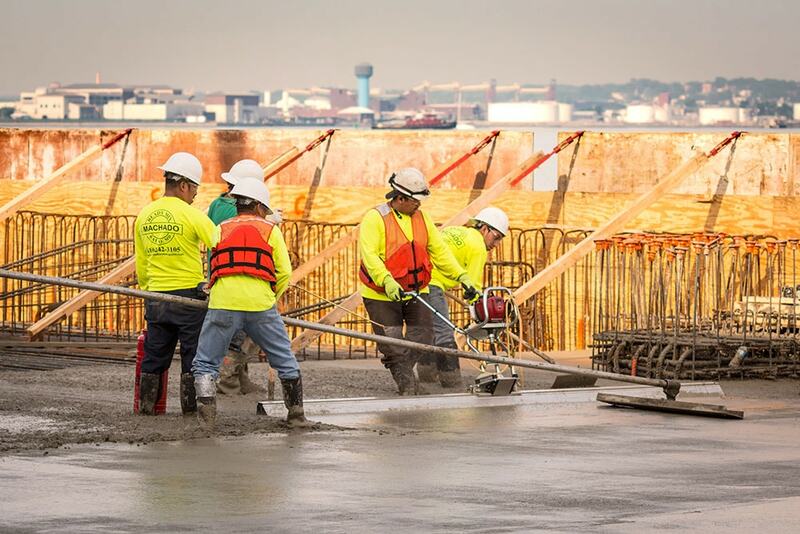 All concrete was wet cured using burlap and soaker hoses for a period of 7 days. 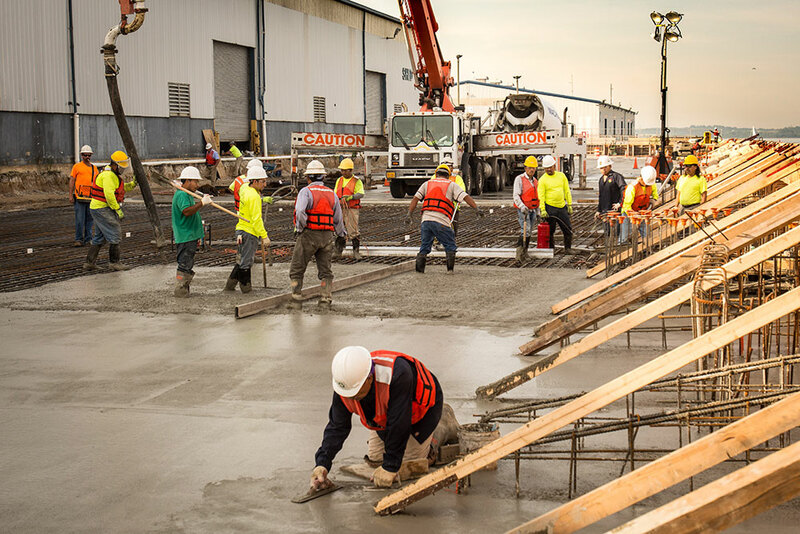 The project was completed within 6 weeks with 6 pour dates.